I am loving my Hayden Reis Beach tote! I have a small obsession with anchors, especially in the summer, so when I saw this tote I had to have it! Scroll down for your chance to win a tote of your own!! Todays giveaway is perfect for the start of summer! Today I am teaming up with Emily Stroud of the Florida based company Hayden Reis! 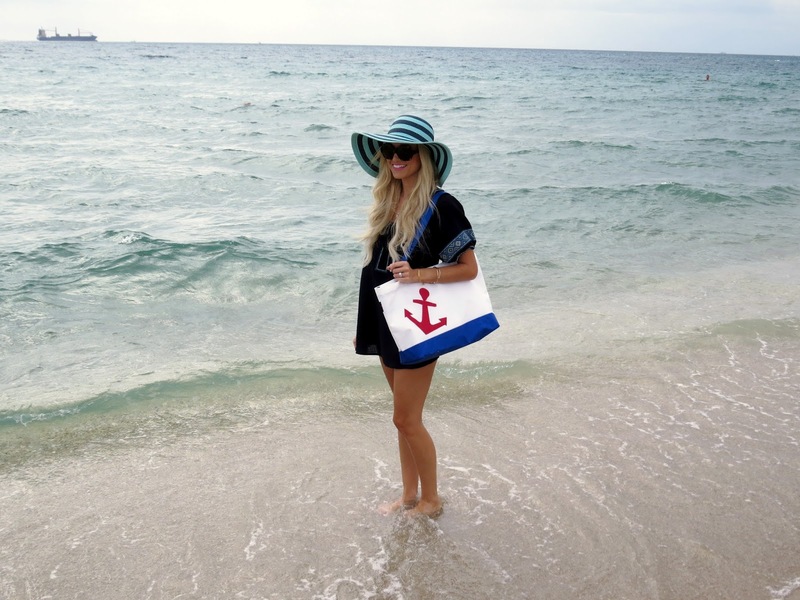 She has the cutest beach totes and accessories to go along with them! Emily's bags are made in the USA, water and sand resistant (which is amazing), they are lightweight, durable and functional. These bags are perfect for a day at the beach, the farmers market or just day to day! 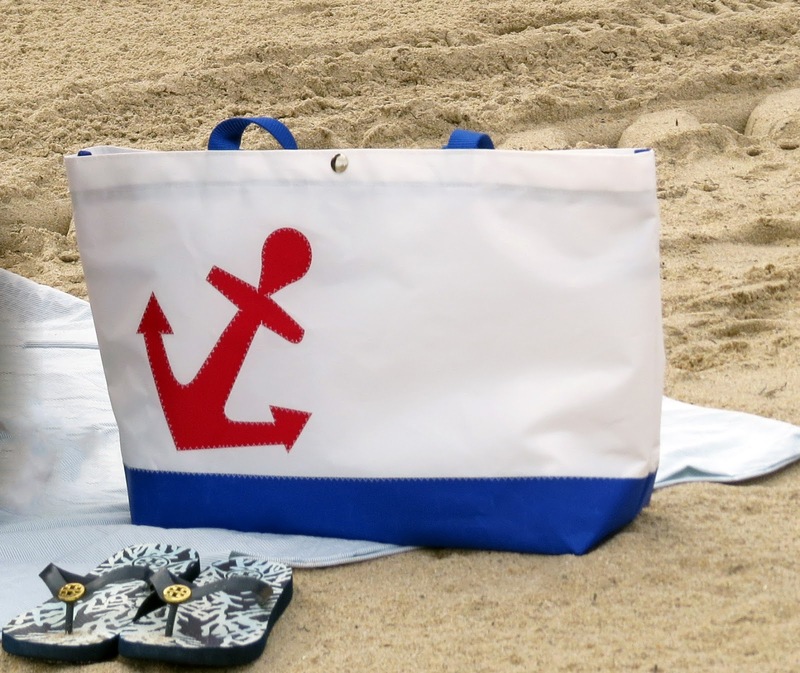 Emily has graciously offered to give ONE lucky SOS reader there very own Anchor Tote! I know you all will love these totes as much as I do! The quality is amazing! See how to enter below. The giveaway will run for a week! Good Luck! Love anchors! I wish I was near the water right now! I just got one of their sunscreen totes the other day! They are so cute! 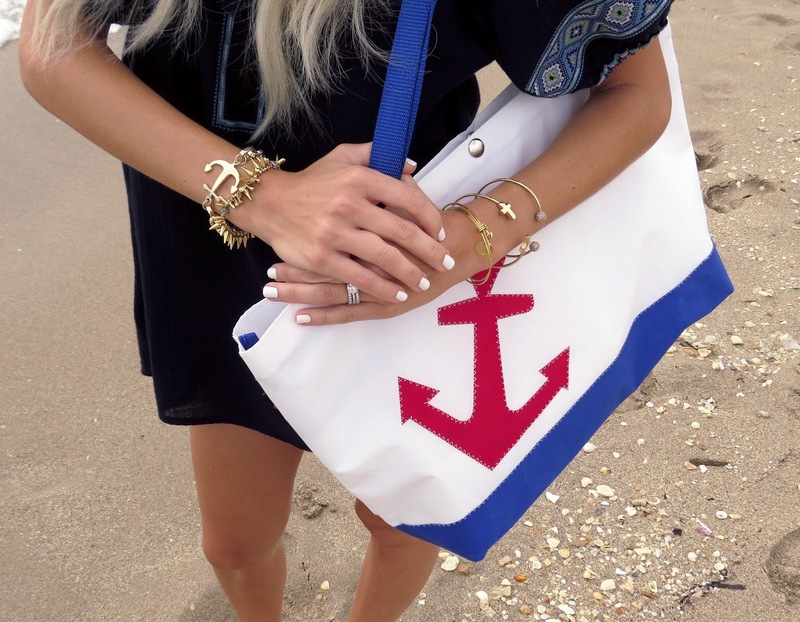 The bag is adorable and I love your anchor bracelet + tunic! You look great Jade. 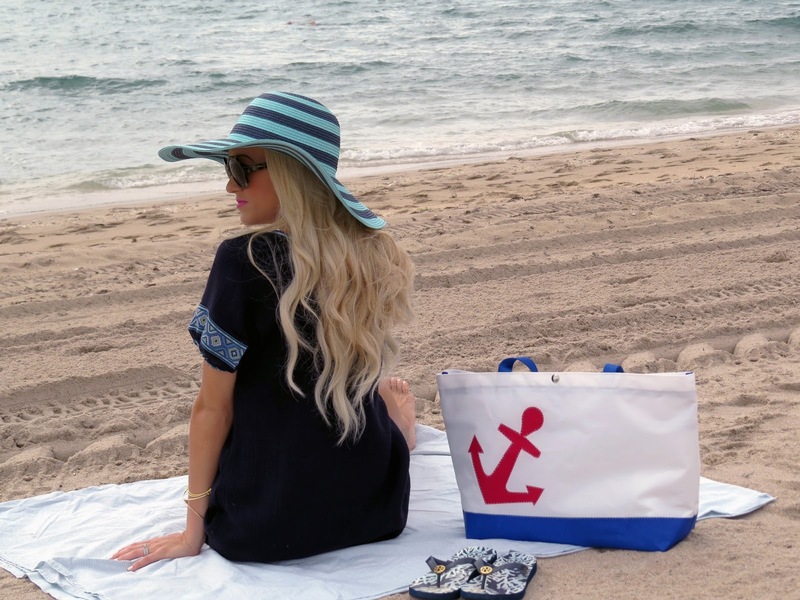 Such a great beach look...LOVE the hat and bag! I'm obsessed with anchors!